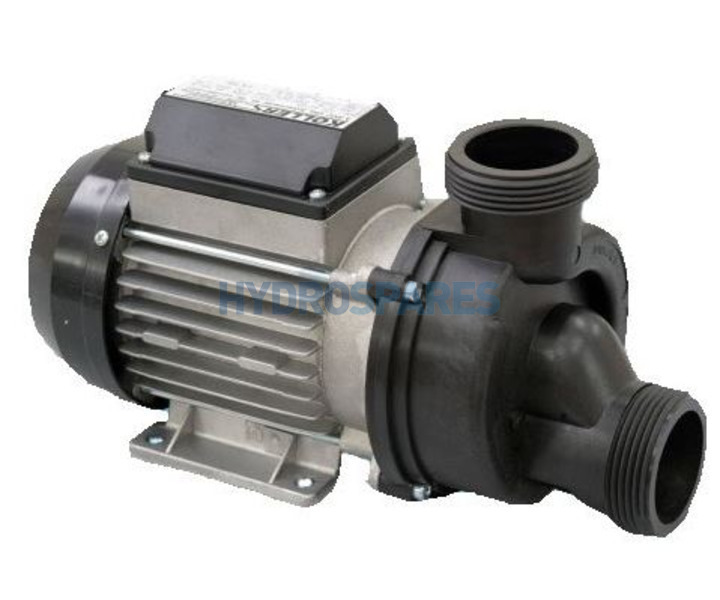 Koller Basic - Whirlpool Bath Pump 2611BEP-1 - 0.55kW - Self-Drain - Pneumatic. The Koller basic whirlpool bath pump range is another popular bath pump. They can be found on many complete whirlpool baths originating from the high street retailer BnQ, and many baths produced by companies in the UK. A large variety of models can sometimes make it hard to pin down which pump you have but chances are if the kW and wet end match you will be fine. The higher powered models can even be found on hot tubs from manufactures based in Europe and China. Silent running motors feature Kollers own C-Profile mount system which integrates with the Koller Quick Fix Vario supports for mounting. Motors are coupled with either self drain or centre suction wet ends to fit a multitude of plumbing configurations. Models we stock are fitted with a pneumatic (air) switches so on/off operation is possible either with air buttons or electronic controls.